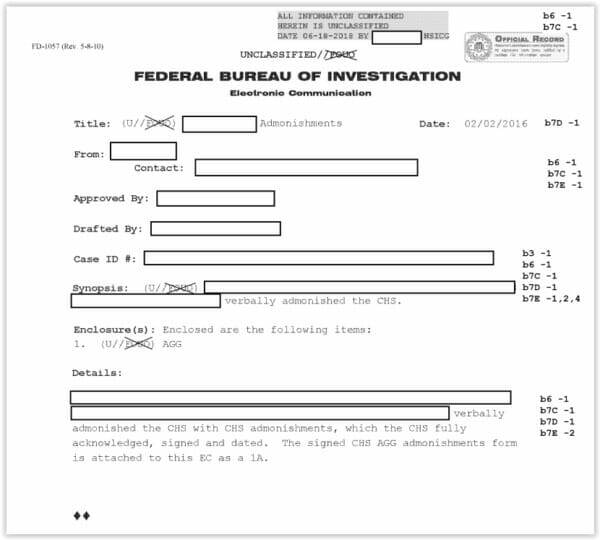 Per our review of the documents provided to Judicial Watch per a FOIA request it appears that the FBI and DOJ may have stopped their release as of important documents in February 2016. It appears from the documents in the FOIA release that Steele was admonished in February 2016, long before the Russia investigation even began. If this is the case, the FBI used Steele’s bogus dossier a source for their FISA warrant request long after he had been fired while claiming to the court and the public that Steele was a solid source. The FBI and DOJ also have a lot of documents left to provide. 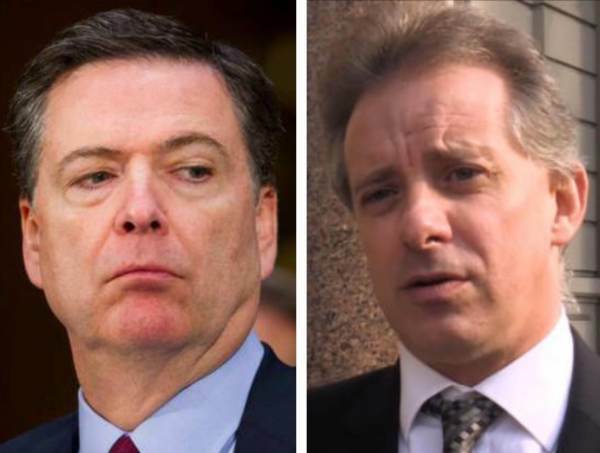 In a report by Andrew McCarthy at the National Review, a US Senate report stated that Christopher Steele was fired from the FBI as a Confidential Human Source on November 1st, 2016. It was important to note this date because Steele’s dossier was used as the support for the FISA warrant requested from the FISA Court in mid October of 2016. Steel was fired but the story line is that it was only shortly before the FISA request was made from the court. The request was granted and renewed several times over many months into 2017. Now we know that this may all be another lie by the Deep State DOJ and FBI. Per a review of the FOIA documents requested by Judicial watch related to Steele, it appears that Steele was admonished by the FBI in early 2016, long before the FISA warrant request and even before the start of the Trump – Russia investigation. Judicial Watch made a Freedom of Information Request (FOIA) to obtain all records between the FBI and Christopher Steele and/or Orbis Business Intelligence (his firm). Eventually the FBI and DOJ provided a set of documents (75 pages) on August 3, 2018. There are some identifiers in the documents that lead to the real date that Simpson was fired from the FBI which was February 2, 2016 (per below document) or before. The request by Judicial Watch was for all documents related to Steele or his firm between January 1, 2016 and present. The documents provided by the DOJ and FBI were provided in August and the DOJ and FBI announced that this was not a complete list of documents and only an interim release. But a review of the documents indicates that this release was only for documents up and to February 2, 2016. We know this because of the ‘Bates numbers’ on the bottom of the forms. The Bates numbers are stamped on the pages by a machine and are a numbering system for legal purposes. Bates stamping allows you to precisely indicate the one and only one document of its kind. Large piles of documents are provided in chronological order because that is how files are arranged. This also helps when rifling through documents. Each type of form is kept together in order in a separate section of the file. By reviewing the documents provided to Judicial Watch it appears that the FBI and DOJ stopped providing documents of its meetings with Steele as of February 2, 2016. There is much more that the FBI and DOJ and Mueller team don’t want to tell us. The problem with the records is that the story in the media and apparently in front of Congress is that Steele was fired late in 2016 and therefore his fake news dossier could be trusted, although it has never been verified by any sources. However, now we know that Steele was a bogus and weak source due to his admonishment in February of 2016 and he should never have been used as a source by the FBI from that point forward.